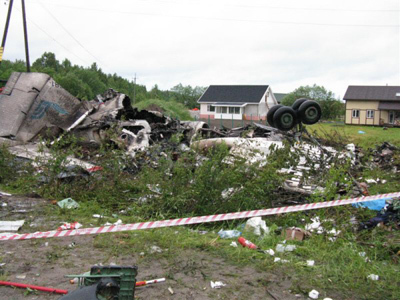 Russian aviation experts have ruled out technical failure as a cause of the fatal passenger jet crash in the country's north-west. The Russian president wants Tupolev TU-134s to be withdrawn from the country’s passenger fleet. 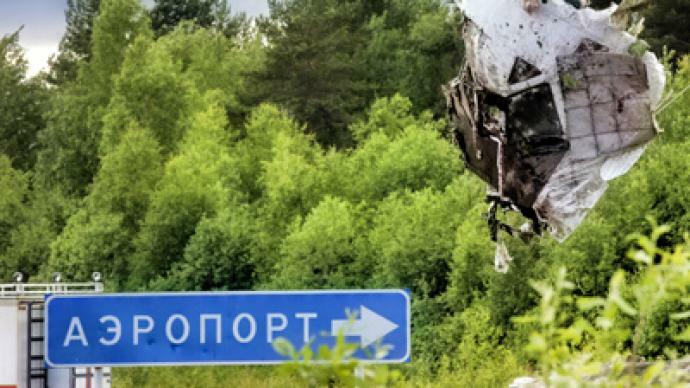 ­The Inter-State Aviation Committee is now decoding information from the flight recorders to discover what caused the plane to hit a highway on Monday night. “The acoustic information is very noisy and needs to be restored in places,” says the official statement on the committee’s website. ”A preliminary examination of the flight recorders revealed the jet’s engines were working until its collision with the ground. Information from the crew and flight recordings gave no indication of any system malfunction or failure”. 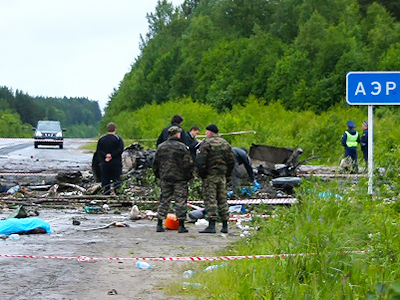 Valentina Ulich, the head of the Health Ministry of Russia’s Republic of Karelia told journalists on Wednesday. Ulich added that the identification process has been going on around the clock, and said the victims’ remains would be released to their families on Thursday. 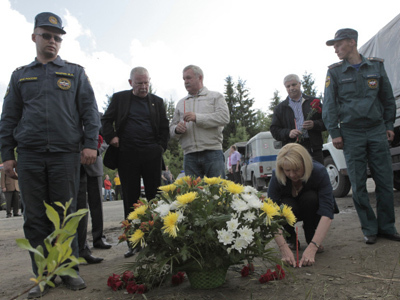 Funerals will be held on Friday for victims from Karelia. 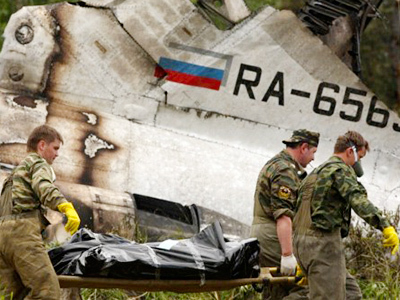 Forty-four people were killed on board the Tupolev-134 and eight were rushed to several hospitals with severe injuries. A nine-year-old boy later died, bringing the number of deaths to 45. The Russian president wants Tupolev TU-134s to be withdrawn from the country’s passenger fleet, for regular flights, starting from next year. Dmitry Medvedev said during his visit to RIA Novosti news agency on Thursday.